Exploring Human Vision Driven Features for Pedestrian Detection. Shanshan Zhang, Christian Bauckhage, Dominik A. Klein, Armin B. Cremers. IEEE Transactions on Circuits and Systems for Video Technology (T-CSVT), 2015. Fast Moving Pedestrian Detection Based on Motion Segmentation and New Motion Features. Shanshan Zhang, Dominik A. Klein, Christian Bauckhage and Armin B. Cremers. Multimedia Tools and Applications (MTAP), 2015. Efficient Pedestrian Detection in Urban Traffic Scenes. 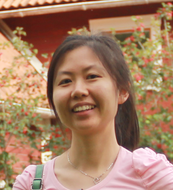 Shanshan Zhang, PhD thesis, University of Bonn, 2014. Efficient Pedestrian Detection via Rectangular Features Based on a Statistical Shape Model. Shanshan Zhang, Christian Bauckhage, Armin B. Cremers. IEEE Transactions on Intelligent Transportation Systems (T-ITS), 2014. Center-surround Contrast Features for Pedestrian Detection. Shanshan Zhang, Dominik A. Klein, Christian Bauckhage and Armin B. Cremers. International Conference on Pattern Recognition (ICPR), Stockholm, Sweden, 2014. Informed Haar-like Features Improve Pedestrian Detection. Shanshan Zhang, Christian Bauckhage, Armin B. Cremers. IEEE Conference on Computer Vision and Pattern Recognition (CVPR), Columbus, Ohio, USA, 2014. Nonlinear Analysis of Traffic Flow for a Lattice Model in an Intelligent Transportation Environment. Zhipeng Li, Shanshan Zhang, Xingli Li, Fuqiang Liu. Advanced Materials Research, 187: 464-468, 2011. A Vision Based Lane Detection and Tracking Algorithm. Fuqiang Liu, Shanshan Zhang, Wenhong Zhu, Zhipeng Li. Journal of Tongji University (natural science), 38(2): 223-229, 2010. An Effective Driver Fatigue Monitoring System. Shanshan Zhang, Fuqiang Liu, Zhipeng Li. International Conference on Machine Vision and Human-machine Interface (MVHI), Kaifeng, China, 2010. Stabilization Analysis of Lattice Models in an Intelligent Transportation System Environment. Zhipeng Li, Rui Yang, Shanshan Zhang, Xiayi Zhang, Fuqiang Liu. Industrial and Information Systems (IIS), Dalian, China, 2010. Multi-Sensor Based Perception Network for Vehicle Driving Assistance. Jun Han, Fuqiang Liu, Zhipeng Li, Shanshan Zhang. International Congress on Image and Signal Processing (CISP), Tianjin, China, 2009.